REDWOOD SHORES, California, and DUBLIN, Ireland – December 13, 2016 – iPass Inc. (NASDAQ: IPAS), a leading provider of global mobile connectivity, and Accuris Networks, a leader in Wi-Fi roaming, interworking and service-policy enablement, today announced a partnership to give Mobile Network Operators (MNOs) and Mobile Virtual Network Operators (MVNOs) a simple and efficient way to tightly integrate Wi-Fi into their service offerings. By using a combined best-in-class portfolio of Wi-Fi roaming, Wi-Fi offload and intelligent network connection technologies and native mobile core network integration, the partnership will improve the mobile connectivity experience for one billion potential mobile subscribers, while assuring subscription identity and service-revenues for MNOs. The combined solution creates a strong value proposition for MNOs and MVNOs to leverage carrier Wi-Fi for offload and roaming services. Accuris Networks will integrate iPass’ patented SmartConnect™ technology into its Wi-Fi eClient to enable advanced client connection analytics and access to iPass’ global Wi-Fi footprint. This augments Accuris Networks’ patented WISPr 1+ connection protocol which enables GSM-based authentication and secure Wi-Fi connectivity. In addition, the Accuris Connect service speeds integration with mobile networks by supporting pre-paid service plans and existing billing systems. Together, the companies will be able to deliver a superior quality of experience for end users on Wi-Fi networks around the world. iPass (NASDAQ: IPAS) is a leading provider of global mobile connectivity, offering simple, secure, always-on Wi-Fi access on any mobile device. Built on a software-as-a-service (SaaS) platform, the iPass cloud-based service keeps its customers connected by providing unlimited Wi-Fi connectivity on unlimited devices. iPass is the world’s largest Wi-Fi network, with more than 57 million hotspots in more than 120 countries, at airports, hotels, train stations, convention centers, outdoor venues, inflight, and more. Using patented technology, the iPass SmartConnect™ platform takes the guesswork out of Wi-Fi, automatically connecting customers to the best hotspot for their needs. Customers simply download the iPass app to experience unlimited, everywhere, and invisible Wi-Fi. 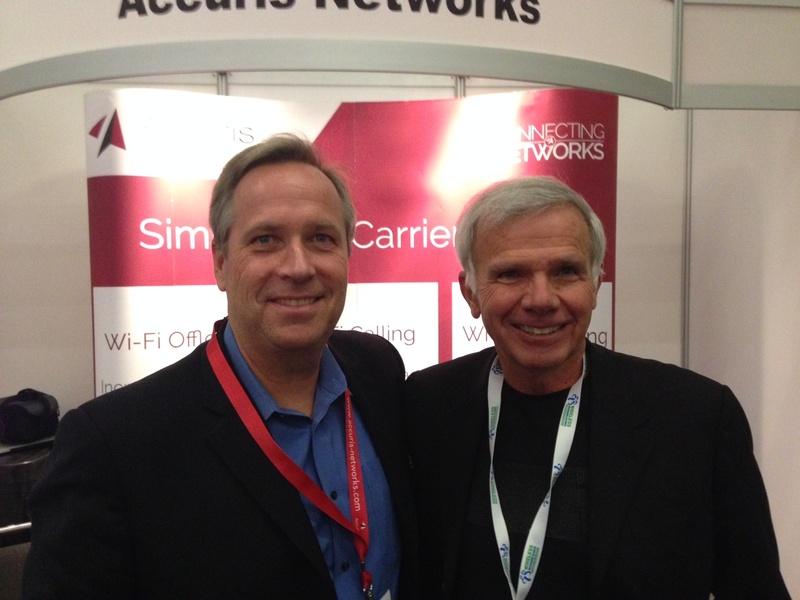 Accuris Networks helps service providers monetize the connectivity between networks. Accuris Networks SaaS solutions enable subscribers to move seamlessly and securely between LTE, GSM, Wi-Fi, and fixed networks while ensuring a superior quality of experience. With industry-leading products and SaaS, Accuris Networks enables service-providers to incrementally grow their Wi-Fi strategy according to the state of art of deployed networks and the needs of their subscribers. Accuris Networks is a trusted supplier to blue-chip operators around the world including AT&T, Bell Canada, China Mobile, EDCH, Internet Solutions, Telefonica, Telekom Malaysia and more. Visit us at www.accuris-networks.com or tweet @AccurisNetworks.